Canapé is anchored in the idea of letters with a faintly curved and vaguely amended line. 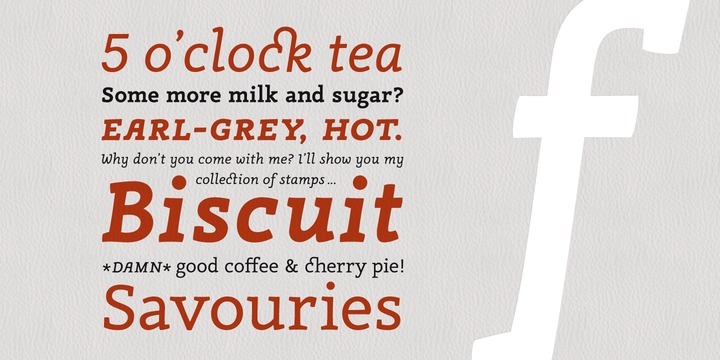 This helps the typeface get a warm and friendly feeling and a kind of haptical appearance. This brings certain type of cosiness to any communication through lettering. Canapé has been crafted with great attention to detail. The type family can be used for copy texts and corporate design or display purposes. The 4 fonts with over 4,200 characters contains good amount of amazing features such as small capitals, swashes, 10 different figure sets, ordinals, automated fractions, standard and discretionary ligatures.